A visit to Samos could be love at first sight! Sun, sea and a beautiful scenery and still free from mass tourism. This website is meant for the friends and visitors who already know and love Samos and for those who would like to visit the island for the first time! With this we aim towards a growing network of Greek and foreign friends and acquaintances centered around The Folas family in Agios Constantinos. 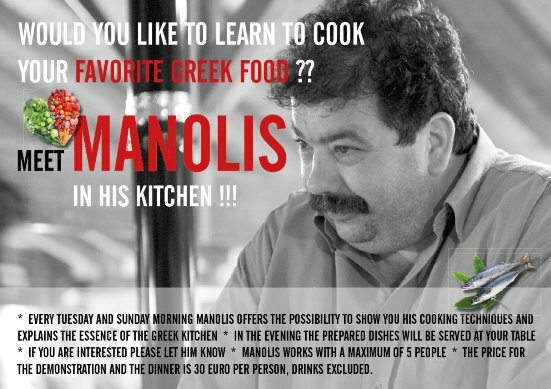 The story began in the old and famous restaurant “Parádisos” in Platanakia, an area in Agios Constantinos. There, under the big Plane trees, Manolis and Michalis Folas and their parents, had an beautiful restaurant and every week Live music. It attracted many Greeks and foreign visitors. A lot of them became friends and many of these friendships still exist! characteristic Greek taverns in Agios Constantinos. It distinguishes itself by its cosy atmosphere. knowledge and love for their island.